February 17th, 2019 - Does My Bomb Look Big In This? 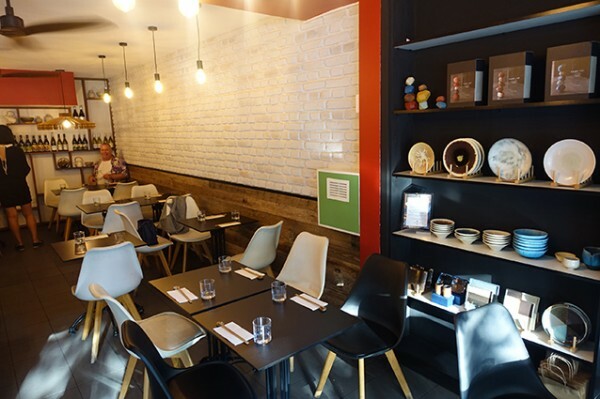 In Sydney there’s a small, talented group of Japanese chefs producing high quality Japanese fusion cuisine. 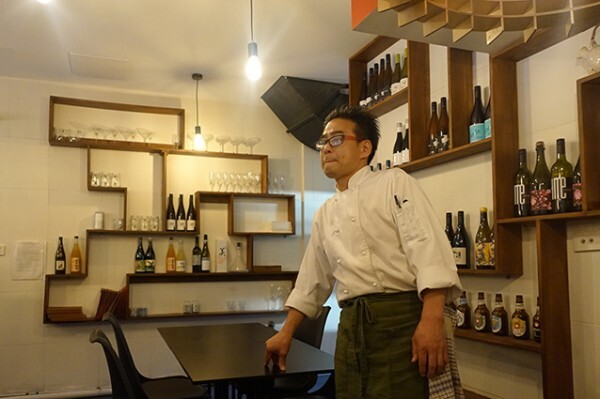 Raita Noda, with his eponymous restaurant, Raita Noda's Chef's Kitchen is probably the best known, but there’s also his 'younger brother' Yoshi Harada at the soon to be defunct Kagura in Surry Hills; former Blancharu chef, Harubobu Inukai, who is now at Gaku Robata Grill in Darlinghurst; and young gun, Tomoyuki Usui, at Restaurant Plage in Cremorne. 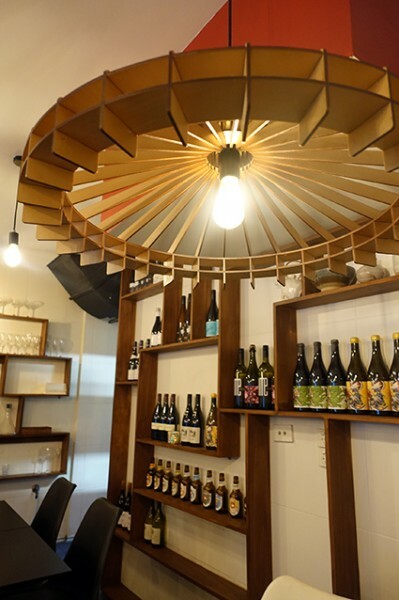 You can also add chef Hideki Okazaki and his picturesque little restaurant, Eiju Fusion Japanese Dining, to that esteemed list. 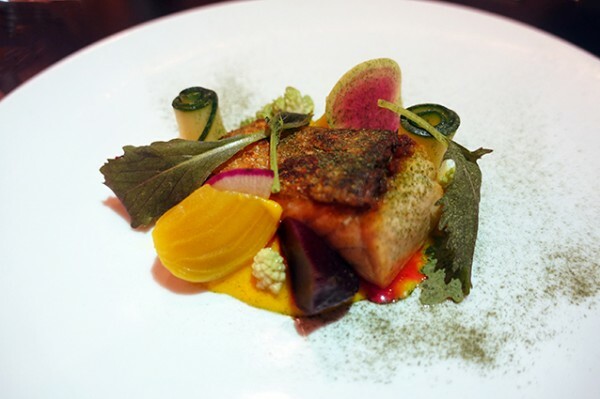 Okazaki has cooked in Japan, Italy, and here on Australian soil, honing his Italian skills with Steve Manfredi at Manfredi, and his French technique with Tony Bilson at Ampersand. It’s all brought to bear on the great value 5-Course Set Menu ($59/person) he’s trotting out in Pyrmont. 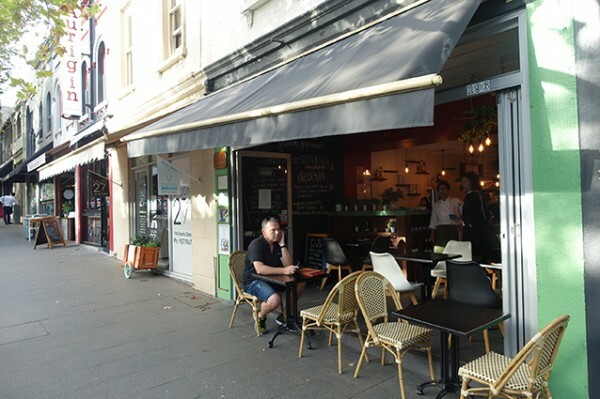 With awning-covered al fresco tables on the quieter end of Harris Street, this 32-seater restaurant is date night’s new address. 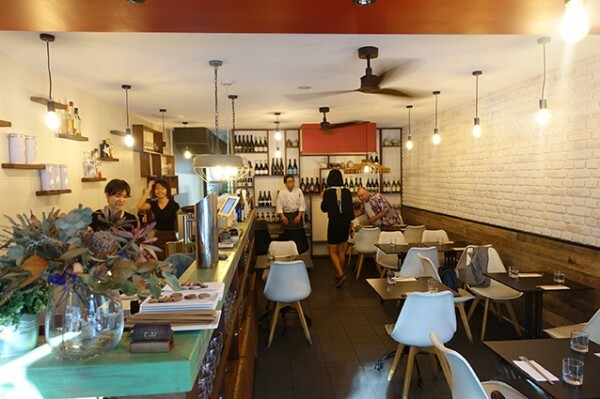 It’s a textural space, with painted white brick and wooden paneling walls, and narrow asymmetrical shelving holding the chef’s own earthenware and a boutique selection of well-chosen wines. Overhead exposed bulbs, and one wooden fan light-shade, give the space an appealing warm orange glow. Soft jazz scatters notes like a trickling waterfall, blending in seamlessly with the gentle titter of laughter from the young and friendly floor team. 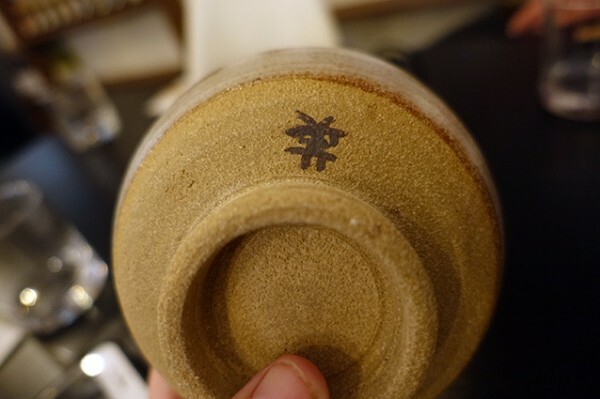 We inadvertently put them to the test right away, with a corked bottle of Steve Crawford’s obscure, small-batch 2017 Frederick Stevenson Marsanne Roussanne ($85), that’s handled well. Once bitten, twice shy, so we retreat to Lark Hill’s 2017 ‘Dark Horse Vineyard’ Mr V ($68) that throws viognier into their co-fermented field blend of the same two white Rhone varietals. 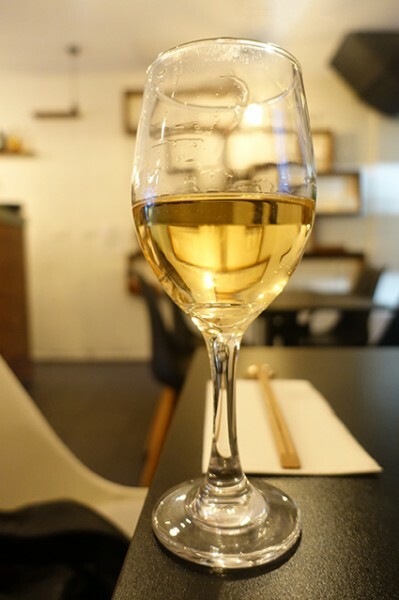 It’s lightly embarrassed from a little skin contact, and easy to drink, particularly against my favourite dish: mentaiko spaghetti. 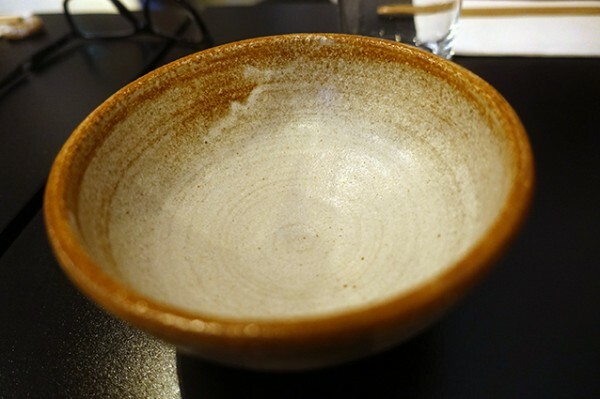 “I am from Fukuoka where mentaiko is famous,” our waitress says proudly, as she gently places the umami-rich pasta dish before us. 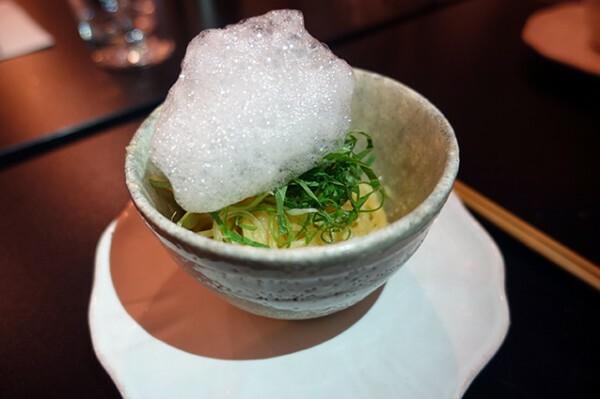 The spaghetti sits under a cloud of tart lemon foam balanced on a handful of shiso. It’s flavoured with spicy cod roe - just like the mentaiko rolls I love so much at Azuki bakery – and butter; and eating the degustation portion makes me wish I had ordered a whole bowl of it. 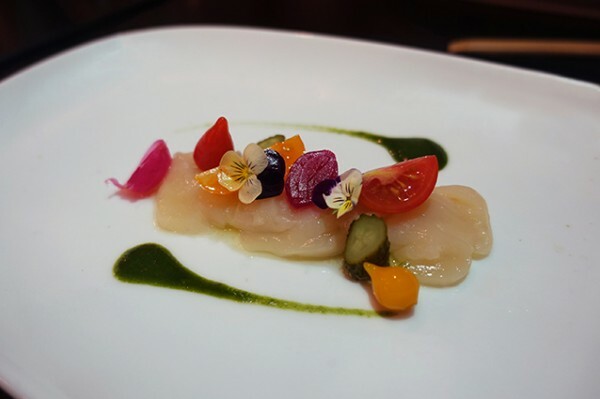 The set menu kicks off with scaled down version of the Carpaccio of Scallops ($16) where delicate slices of scallop are set off by red and yellow teardrop pepper flavour bombs. Their shape is reflected in comets of green basil apple puree, and shapely pearl onions, making for a well-designed dish that still centralises the flavour of the scallop. You’ll note the same startling graphic design in the plating of the Miso Duck Breast ($18) where dots of yoghurt sit in stark contrast to black sesame. 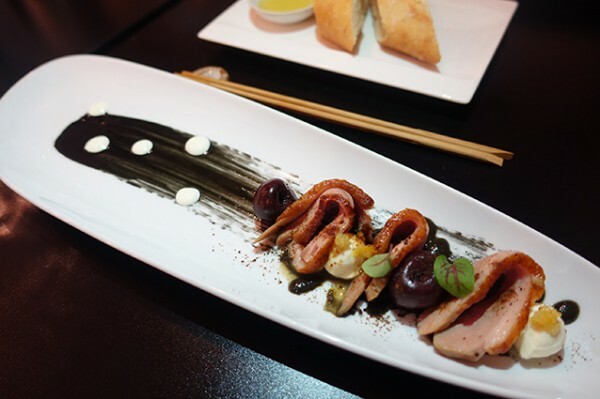 Down the other end are thickish slices of duck punctuated with preserved cherry compote and baby bocconcini. It eats as well as it looks, with bursts of orange rind and black sesame gentled by yoghurt mingling nicely with the cold duck slices. Bread, passed separately, stops you feeling bad you haven't scraped up every last skerrick from the plate. Mains see diners make a choice between a simple plate of moist grilled salmon sitting under nicely crispy skin, and pig. It should be immediately obvious which one is better, no? 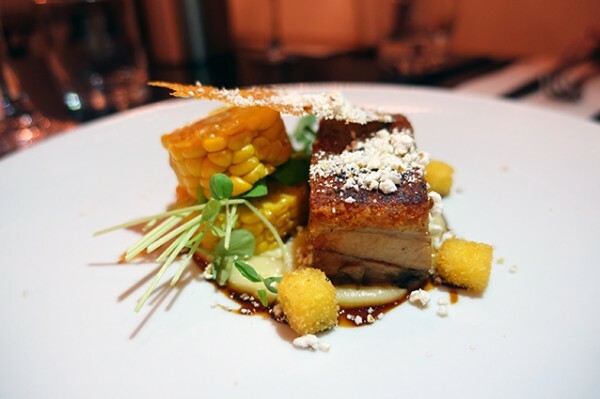 Presented as pork belly confit with roasted corn, crisp cubes of polenta and cauliflower puree, the pork dish is steered Japanese with a hint of teriyaki. It impresses with good porky flavour in the well-rendered, crisp skinned portion of pig. 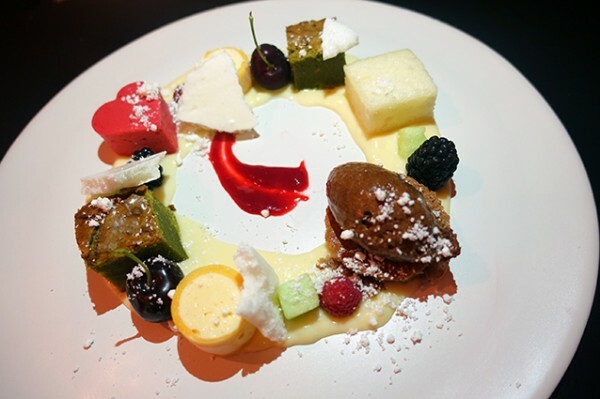 Dining right before Valentine’s Day did offer us an advantage, with chef Okazaki-san sending out a tester of his V-Day dessert creation instead of the menu’s usual watermelon clouds. Presented on a circular plate, the attractive wreath of desserts contained love hearts of bright, dairy-free, raspberry mousse, along with white chocolate semi-freddo, dairy-free pineapple mousse that ate like a tart granita without being icy, and my favourite – cubes of moist and comforting green tea cake, all sitting on vanilla custard. 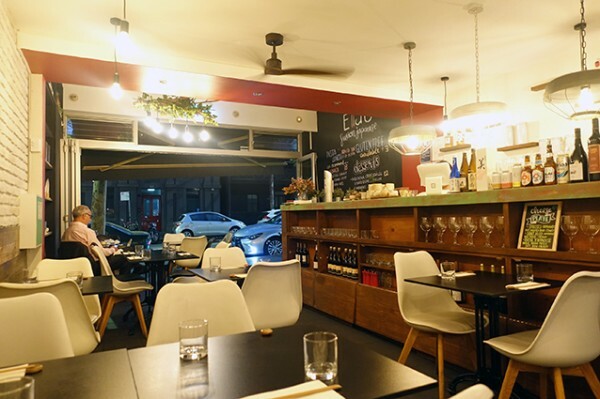 Even without all this dessert fanfare, on an everyday night, Eiju offers up an affordable date night where you can get a well-presented and tasty five-courses plus a bottle of wine for less than two hundred bucks.